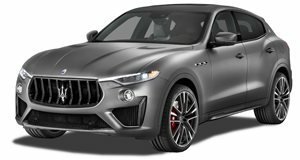 Personalized One of One Levante GTS has been made for a mystery celebrity. Maserati is planning two North American premiers for the New York Auto Show this year. Displaying the full Levante range, visitors will be able to take an in-depth look at both the ‘entry-level’ twin-turbo V6 models as well as the range-topping GTS and Trofeo twin-turbo V8 variants. The first reveal will be the One of One customization program featuring Italian artisanal craftsmanship with the finest finishes. Customers select from thousands of interior and exterior options to meet their personal needs and tastes and the Maserati design team works closely with each client to create their unique vehicle. To highlight the new program and what can be created, there will also be a world premiere at the Show as a celebrity receives the keys to their never seen before personalized One of One Levante GTS. This program will roll out to North American dealers in the near future to satisfy the discerning tastes of clients. Maserati fans who attended the 2019 Geneva Auto Show earlier this year may have seen the Zegna Levante S Q4 GranSport, which showcased a newly designed elegant Pelletessuta interior by Ermenegildo Zegna. It will be making its North American debut at the show and is the result of pioneering research by Ermenegildo Zegna, who has had a longstanding partnership with Maserati over the years. The material is lightweight, beautiful as well as durable and Maserati is the first automotive manufacturer to offer it to the market. American clients will be able to choose this interior trim for their Maseratis in the Spring of 2020. The 2019 New York Auto Show, meanwhile, runs from Friday 19 April to Monday 29 April.